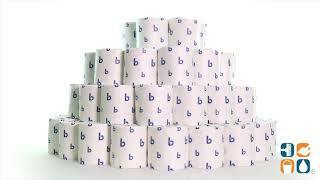 Boardwalk toilet paper is the economical choice for quality bathroom tissue when you are on a budget. Embossed, 2-ply standard size toilet paper rolls are ideal for home or business. Rolls are individually wrapped to keep them clean and dry in storage and during transport. Sheet size is a full 4.5" x 4.5" and there are 500 sheets per roll. Includes 96 rolls so you'll always have back-up. Order Boardwalk 2-Ply Toilet Paper Rolls today and save. Buy more and save more!